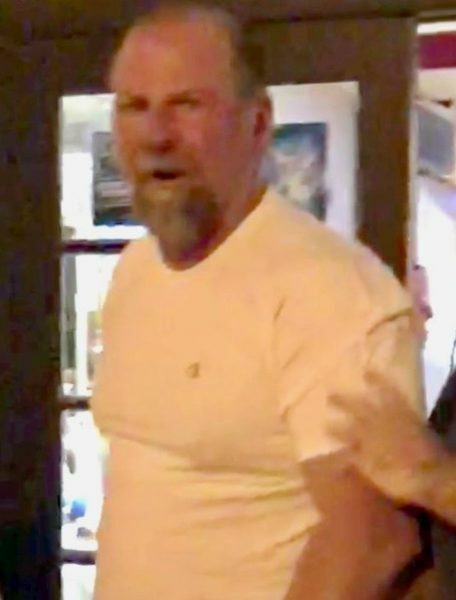 Three men ejected from a Newport Beach restaurant in earlier this month filed a lawsuit in Orange County Superior Court this week alleging that a bartender called them “faggots” and demanded they leave before a bar patron threw them out, one forcefully. Angel Bonilla, Colton Moyer and Clement Serafin said they were visiting Balboa Island on April 13 when they decided to stop by Siena Restaurant inside the Balboa Inn for dinner. They allege in the court filing that they were immediately met with hostility from a woman working behind the bar, who “demanded that (the men) show their respective identification cards because she wanted to create a ruse for refusing to serve them when her real motive was to not serve gay men,” according to the lawsuit. The men said they were not under the influence of drugs or alcohol, according to the Orange County Register. After viewing Serafin’s identification card, the bartender proclaimed that it was fake and then handed it to a person sitting at the bar, apparently a patron, who examined it and “commented loudly that it was ‘definitely a fake,’” the lawsuit says. The lawsuit says Serafin’s identification card is not fake and that he is in his mid-30s. 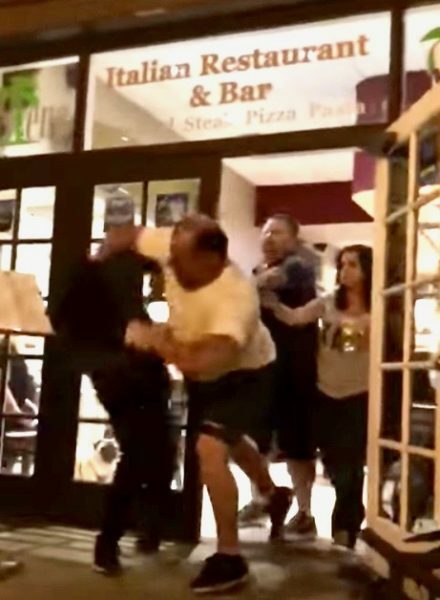 In two videos released after the incident, the same patron can be seen roughly grabbing Moyer off the barstool, dragging him to the front door of the restaurant and physically tossing him out to the ground outside. “This was done with the specific intent to cause humiliation and mental suffering because they are gay and because Bonilla is Hispanic,” the lawsuit says. The Register reported that the trio are alleging assault, “gay bashing,” civil rights violations and emotional distress and are seeking an unspecified amount in damages. Balboa Inn owner Michel Pourmussa has not responded to media requests for comment. NBPD Detectives describe the suspect (pictured) as “white male, approximately 40-55 years old, with grey hair. He is approximately 6’ tall and weighs approximately 200 pounds. At the time of the incident, he was wearing shorts and a white t-shirt.